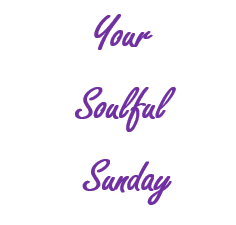 As our weekly series, Your Soulful Sunday continues, enjoy this article by Terri Cole and Positively Positive. Do you have a hard time forgiving yourself? Do you have resentments in your life? Would you like to live a resentment-free life? The following article by Terri Cole just might be the ‘get-out-of-resentment-prision-free’ card. Do you equate forgiveness with losing something, or condoning the bad behavior of someone else? If you forgive, do you feel like someone has gotten over on you in some way? If you have ever felt that, in this episode I am going to teach you how to let yourself out of resentment prison – or as I call it, The New Forgiveness. The reason you should forgive them is to liberate YOU! It’s really not about them, it’s more about releasing toxic emotions that can interfere with you creating the life you want or your future happiness. So basically this is a reframe of ‘forgiveness’, and it’s really a much more accurate description. When you contemplate forgiving someone, you tend to put the emphasis on them, but it’s really not about them – it’s about you. By letting yourself out of ‘resentment prison’ you are freeing up all this space in your mind. How much “mind real estate” do you want to let this person occupy? They may not even be around anymore, and yet you are still keeping it going! This is about YOU. It’s not about whether they deserve forgiveness, it about whether you deserve the freedom and lightness that comes from releasing and learning about yourself from a crappy experience. When you stay focused on how you’ve been wronged and by whom, you block yourself from living in the here and now. Don’t let THEN dictate NOW. PreviousPrevious post:Highlights TV Show Features WV Coalition Against Domestic Violence & YMCA's Healthy Kids DayNextNext post:What’s the Main Goal of Foster Care?